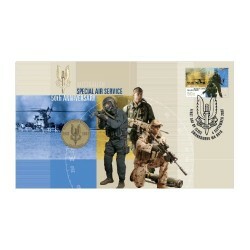 With the sellout of the Perth Mint's 2007 $1 SAS Silver Proof, this issue is sure to follow suit. 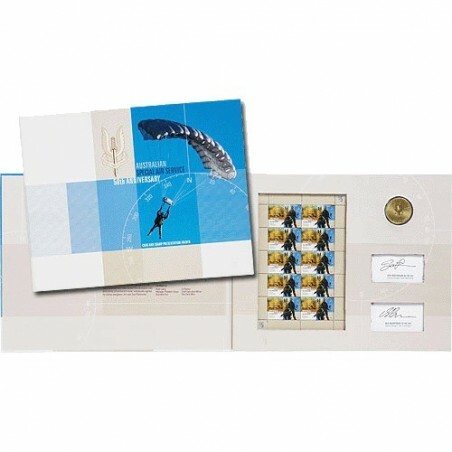 Released 2007 $1 SAS 50th Anniversary Coin and Stamp Gold Foil Limited Edition Folder. 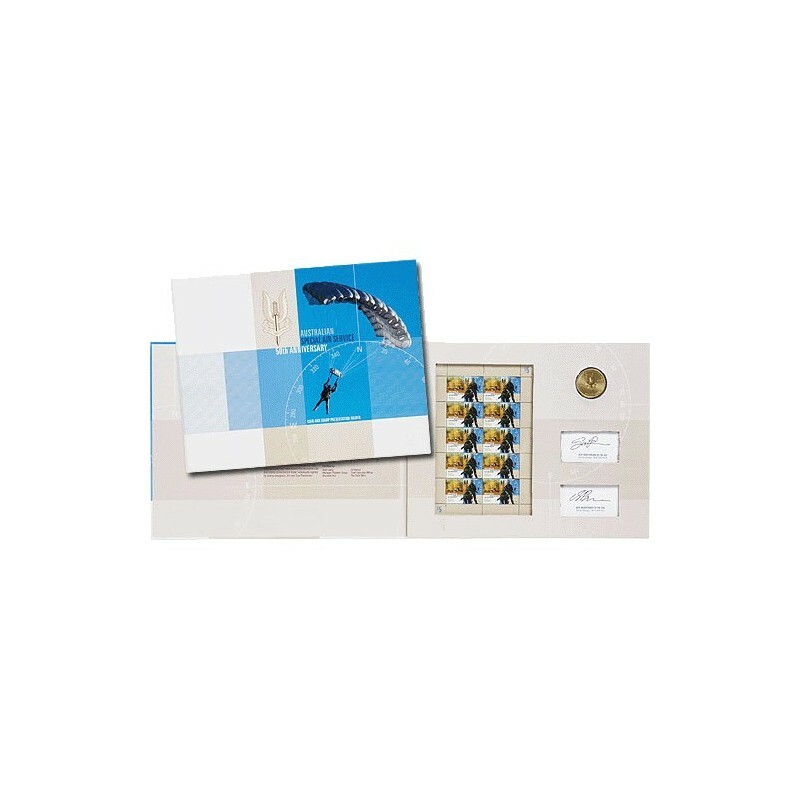 This very scarce limited edition Australian Special Air Service 50th Anniversary presentation folder contains a limited edition foiled and embossed sheetlet of 10 SAS Stamps, each folder is individually signed and includes the specially coined $1 from the Perth Mint and numbered only 2000 produced.